Today’s most influential and engaging technology speakers span all ages, genders, and nationalities, but all share something in common: they are the best at what they do, and what they do has made them very successful. Chosen to speak at all manner of venues, from colleges to business conferences to technology trade shows and more, many of these speakers have also spent ample time in the UK, working as well as speaking, and bringing their unique insights and genius to many others who seek to follow in their footsteps. 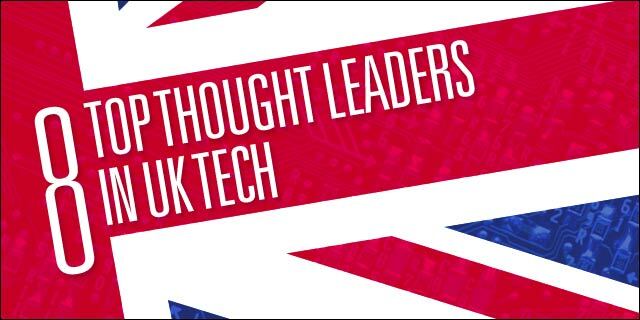 While the list of top technology speakers in the UK can be quite extensive, we have chosen to focus on eight speakers that we feel stand out for their interesting and informative views, theories, and achievements. After reading about these eight speakers, we’re sure you’ll agree that they represent a very well-rounded group and possess a lot of solid advice and interesting points of view on technology today and in the future. As the CEO of Trampoline Systems, which he also cofounded, this insightful speaker is responsible for developing an intuitive software application that analyzes online social activity amongst corporations and the individuals within them. The advanced software is capable of successfully mapping mass quantities of data and measuring the relationships between all the users in the networks being analyzed. Armstrong is also involved in similar projects in various locations around the world, and currently directs One Click Orgs, which analyzes how technology and online social behavior affect governmental processes and functions. Bellingham is a strong voice in electrical engineering, and currently hosts a weekly radio show on Radio 5 Live. She also has a BBC Learning Zone series focusing on engineering, and possesses a strong background in engineering and physics. With a wealth of experience as a computer programmer, Bellingham also has a number of additional projects related to engineering, and is often an instrumental member or leader in various engineering associations. She has also recently presented The Museum of Life, an informative show that details many of the inner workings of the Natural History Museum in London. Another influential speaker is the founder of Webmart. This innovative company helps print buyers find and utilize empty printing presses located around the country. Advanced software helps to achieve this smoothly and efficiently. Bitcliffe’s foray into entrepreneurship can serve as a great lesson to others seeking to fill an untapped market. He also has an unconventional approach to his business, another reason he is such an interesting speaker. It seems only natural that one of the best technology speakers in the UK would be associated with Google. Cobley serves in the position of vice president of brand solutions, and has served in similar roles in various other companies. He also advises and invests in many different technology startups, and can certainly lend great advice to anyone interested in starting their own technology company. Technology today relies heavily on a strong social media presence, and Carson knows a thing or two about that. In charge of the social media presence for Microsoft, he also handled advertising and was instrumental in developing the Bing platform. Well versed in how to be successful on several social media platforms, he also handles brand marketing through his own company. Moores once served as the technology ambassador in a governmental position, and still advises governmental agencies and various media outlets and businesses regarding how to best utilize the Internet and advancing technologies. With a strong vision of the future of technology, and a keen eye for how technology evolves, Moores is a definite one to watch and listen to, especially for those who want to learn how best to benefit from rapidly changing, ever-evolving technology. As an editor for the UK edition of Wired magazine, Rowan is well informed on all things technology-related. With connections all over the world and inside trending information on the latest and greatest of technology, gadgets, apps, software, devices, and strategies, he holds a unique position in keeping abreast of the changing times and emerging trends. As the founder of varied media businesses, Ross Sleight is especially interested in marketing and relationships that evolve through the use of various digital platforms. He is also a clever strategist and knows how to best utilize the power of social media and digital platforms to achieve success. Ross also serves as an advisor to the government and other businesses, and now serves as the chief strategy officer at a mobile technology company, Sono. Justin works as a senior business associate helping brands and start up’s to take efficient business decisions and plan proper business strategies. He is a big gadget freak who loves to share his views on latest technologies and apps.